Huge thank you to the Eagle Crystal Palace Fitter Fans and their Dutch opponents V.V Hekelingen who drew 1-1 at the Crystal Palace football stadium on Sunday! 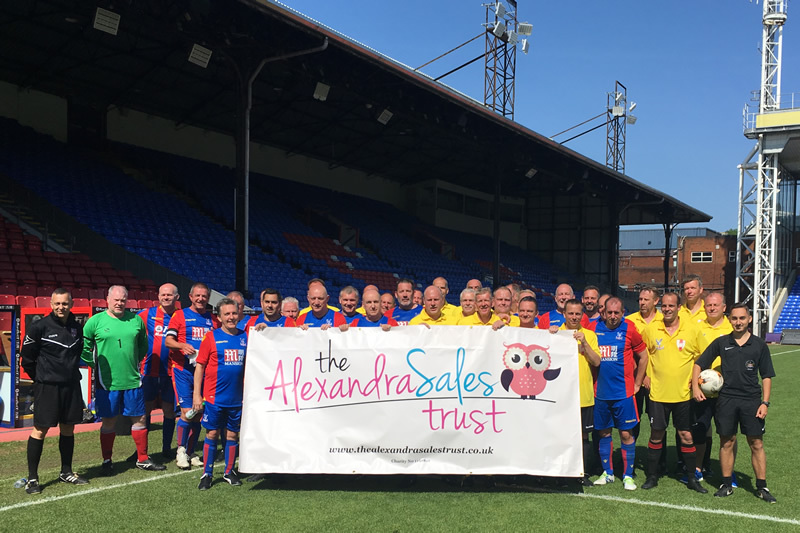 The trust are delighted that the teams chose to support The Alexandra Sales Trust with the day raising just under £1000. A fantastic donation and it was a pleasure for trustee Georgina and supporters to meet such a kind-hearted and friendly group of guys. Our deepest condolences to the guest team who sadly lost a dear friend the day before the match to cancer.